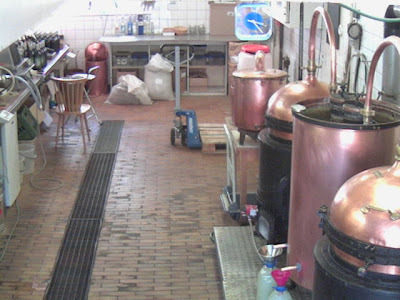 The Real Absinthe Blog: Absinthe Distillery Webcam! In what is believed to be a world first, an absinthe distillery has gone fully public by installing a webcam at the entrance to the distillery. 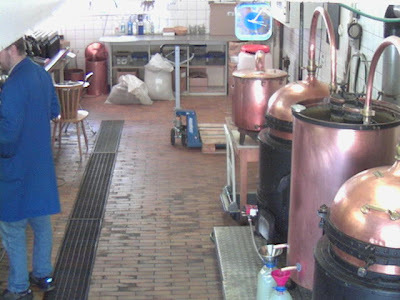 The picture, which is refreshed automatically every 15 seconds, allows the fast-growing numbers of absinthe consumers to see for themselves how absinthe is made. 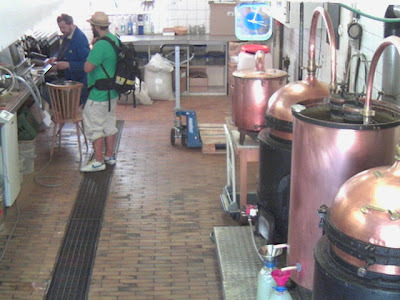 The pictures come from the Artemisia Distillerie Artisanale in Couvet, Switzerland: the birthplace of absinthe and the home of La Clandestine. In fact, prior to March 2005, the production of La Clandestine was as hidden as its name suggests. 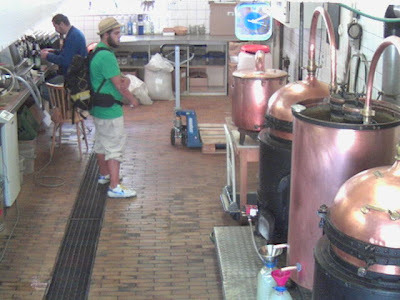 So it is ironic and a sign of the times that a clandestine absinthe distillery is now the first to go so public. How things have changed in just two years! I have been enjoying the blogs very much since I blogged about absinthe a while ago and you left a comment enabling me to find your site! 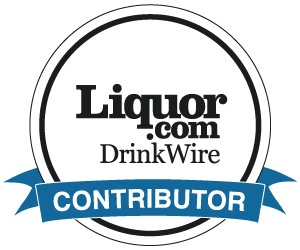 I have linked to your blog on both mine and my wineshop on the links page as a number of my readers and customers are interested in absinthe as well as fine wines.